Since Uranus and Neptune are quite clearly still present—spacecraft have visited both worlds, after all—that tale didn’t quite hold together. But a fifth giant planet, many researchers suspect, could be the hero that this mystery needs, and a critical missing player in the history of the solar system. To re-create these ancient scenes, astronomers rely on computer simulations to generate thousands of different solar systems in thousands of different ways. In lines of code, they lay out the laws of physics and the starting lineup of any planetary arrangement they can imagine. The researcher sets the stage—drop a planet here, sprinkle some asteroids there—then steps back and lets simulated nature take its course. After a couple of weeks in the real world—in which millions of years play out in the simulation—the astronomer peeks inside to see how the solar system turned out. The closer it is to the real thing, the better. The best scenario—the one that reproduced a solar system that most closely resembles the real one—was one with an extra planet that lived between the original orbits of Saturn and Uranus. The world was roughly as massive as Uranus and Neptune, or about 16 times as massive as Earth. 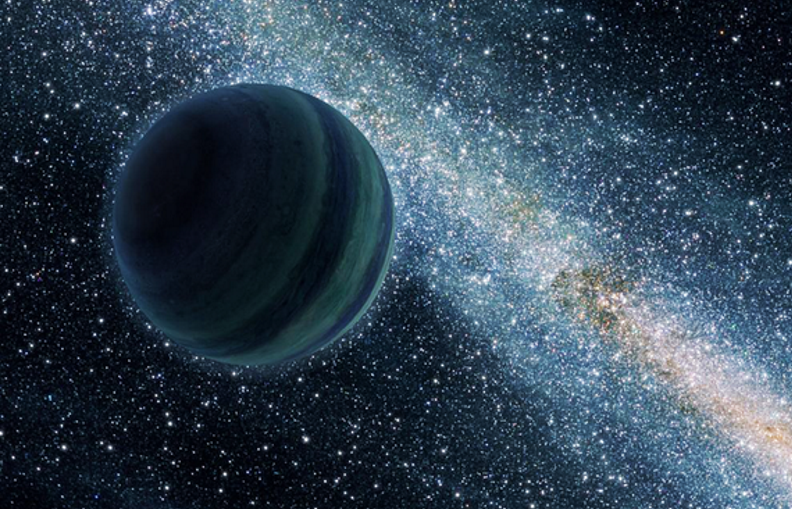 It was this planet that could have gotten tangled with Jupiter’s orbit and been tossed out of the solar system. The arrangement of the Kuiper belt objects led researchers to an inescapable conclusion: Neptune had to have formed closer to the sun than it is today. Many of the objects in the Kuiper belt clump together in concentric orbits, vaguely resembling the grooves in a record. 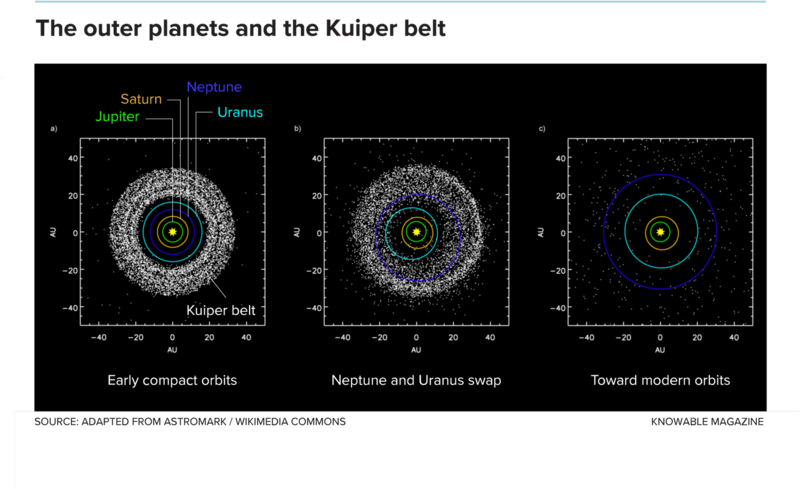 And these aren’t just random orbits—they are linked directly to Neptune’s. By 2005, researchers had uncovered a culprit. New simulations indicated that at some point the giant planets must have undergone what scientists call a “dynamical instability.” In other words, things got crazy for about a million years. The most likely source seemed to be a series of close encounters between Saturn and either Uranus or Neptune—a.k.a. the ice giants—which sent one of these two worlds toward Jupiter. As the wayward world approached, its gravity pulled back on Jupiter, slowing down the giant planet and dropping it to a lower orbit. But Jupiter pulled on the encroaching planet just as hard. The ice giant, being much lighter, sped up far more than Jupiter slowed down, redirecting it away from the sun. This altercation was like a gravitational wallop to the solar system. Jupiter jumped inward while the rest of the outer planets leaped outward. This kick would have contorted the orbits of the giant planets into their modern poses. It also would have saved the inner solar system—Mercury, Venus, Earth, Mars and the asteroid belt—from being messed up by prolonged gravitational meddling from both Jupiter and Saturn, another problem that had arisen in earlier simulations. He reasoned that this supposed planet, on its way out of the solar system, would have messed up a part of the Kuiper belt known as the cold classical belt. If the Kuiper belt were a donut, Batygin says, the cold classical belt would be the chocolate filling—a family of objects whose orbits lie nearly flat within the Kuiper belt. A passing planet should have stirred up those orbits, or so Batygin and colleagues thought. 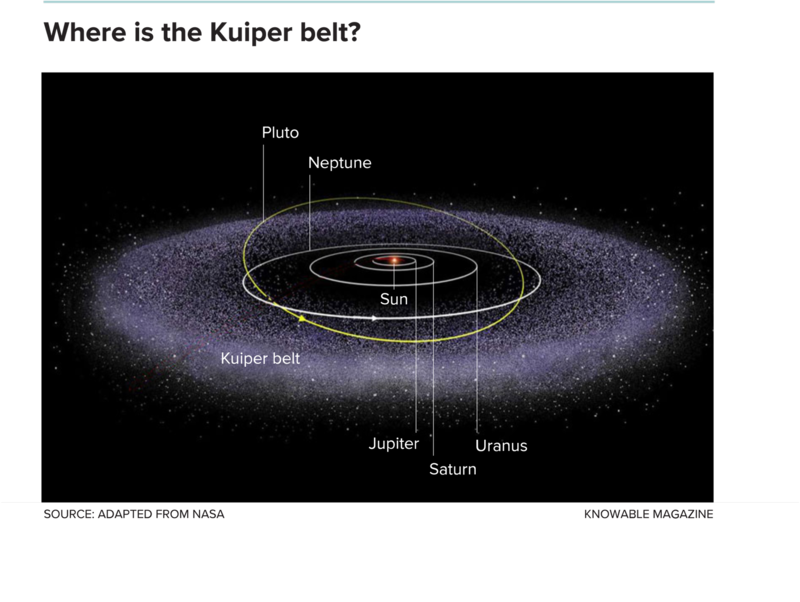 There is another part of the Kuiper belt called the kernel, a narrow stream of icy fragments whose orbits are not currently synced to Neptune’s. Its origin is a bit of a mystery. 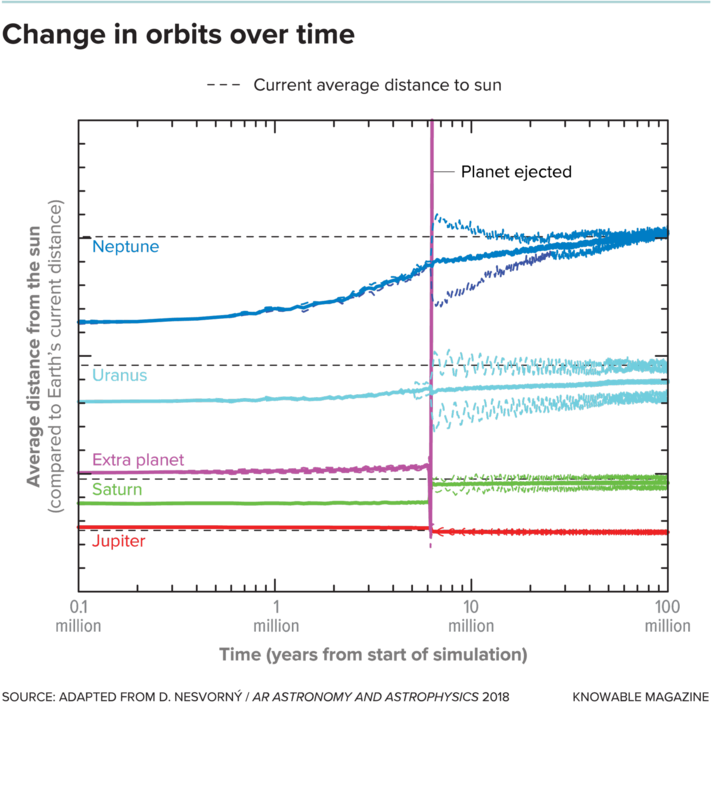 In 2015, Nesvorný argued that a jump in Neptune’s outward migration—caused by an ejected planet—could be responsible. That might be an overstatement—recent estimates put the number at closer to one rogue Jupiter for every four stars—but that’s still billions of wandering worlds. And those are just the ones as large as Jupiter. Our rogue was likely smaller, about the size of Neptune, and we have no idea how many of those are roaming the galaxy. But we do know that the universe tends to favor small things over large things. This article was originally published on October 3, 2018 by Knowable Magazine, an independent journalistic endeavor from Annual Reviews, and is reprinted with permission. Sign up for the newsletter. Christopher Crockett is an astronomer-turned-science-journalist living in Arlington, Virginia.